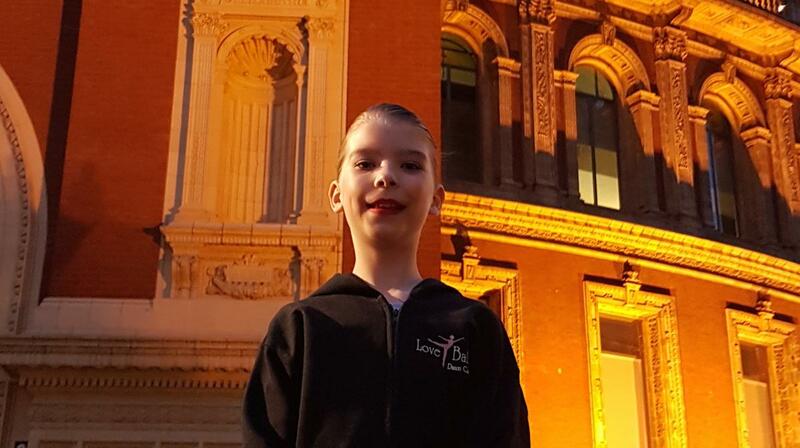 Kerenza-Marie Houston, aged 10 and a member of The Church of Jesus Christ of Latter-day Saints in Banbury, Oxfordshire, were really excited to dance ballet at the Royal Albert Hall in London. Kerenza-Marie has been taking ballet classes for six years and this performance was something that she had been looking forward to for several months, and has been the highlight of her hobby. In total, about 60 girls from the LoveBallet Dance Company performed a piece called “Dancing For George” – a tribute to George Michael, as part of a special event organised by the Mardi Gras Company, involving 1500 dancers from 20 different dance schools from around the country. It is Kerena-Marie’s ambition to become a prima ballerina when she is older and she would love to dance the part of The Sugar Plum Fairy in the Nutcracker.